Black Panther has yet another massive milestone to celebrate! As reported by Variety, the film has officially surpassed the $1 billion mark at the global box office, earning $9.9 million on Friday (March 9). This weekend marks its fourth in theaters, with the Marvel epic already heading toward becoming the second biggest superhero film ever released, just behind The Dark Knight. Additionally, Ryan Coogler has now officially become the second man of color to direct a film that has surpassed $1 billion. F. Gary Gray became the first after the release of 2017's sFate of the Furious. 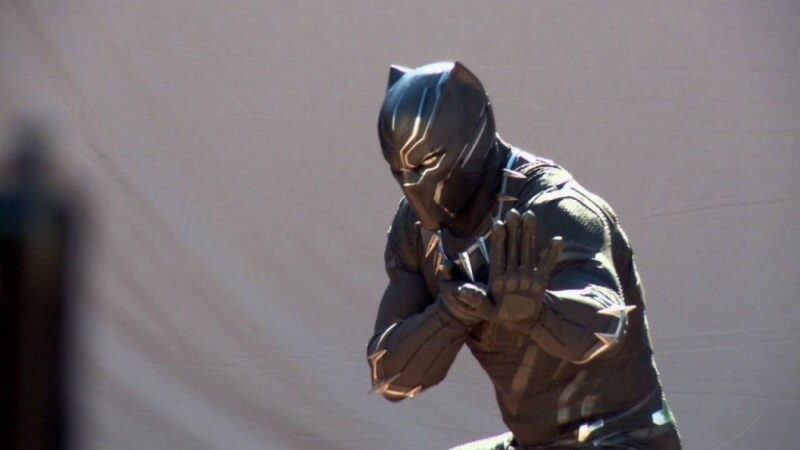 Black Panther is the fifth Marvel release to pass this colossal marker as well, joining the likes of The Avengers, Avengers: Age of Ultron, Iron Man 3 and _Captain America: Civil War. The film is also the 33rd movie ever made to cross $1 billion, as well as the 16th Disney title. The acclaimed film has also made its debut in China, reportedly opening with $20 million its first day and bringing its international total to over $500 million. Congrats again to the brilliant minds and incredible talents behind Black Panther. Hollywood, you better be paying attention.